With the South Johor development region opening up and the banking market on the verge of full liberalization, Malaysia presents growing opportunities for investment. After decades of being wary of foreign investors, Malaysia is gradually ramping up its efforts to attract inward investment. However, continued controls by the central bank and involvement of government-linked companies in most areas and sectors mean that investors must look carefully at what they are getting into. The Malaysian government still maintains strong restrictions on foreign investment in some sectors. Foreign investment in the insurance sector, for example, is restricted to 49% ownership in companies for new entrants and 51% for those with existing stakeholdings. For some industries, though, the bumiputra requirement is relaxing. Foreign investors can hold up to 70% of shipping companies and some service industries, and in South Johor—a region where the government is hoping to promote investment—the bumiputra requirements are zero for some sectors. Khazanah last year issued an exchangeable bond for TM, the Malaysian telecom company, which, according to Yahya, could increase liquidity in the stock market—to the benefit of portfolio investors. The $750 million deal was the first-ever Shariah-compliant exchangeable bond. In addition, a number of LBOs have been launched by domestic and foreign investors. Energy and transportation company MMC recently completed a $2.71 billion acquisition of energy firm Malakoff. The deal’s financing package was significant in that it included a junior sukuk bond, the first corporate hybrid debt security in Malaysia and the first Islamic corporate hybrid instrument with a 100% equity weighting. The financial markets and financial services industries are also moving toward greater liberalization. Abhishek Kumar, market analyst at Financial Insights, says: “The Malaysian central bank has issued a financial sector master plan—first launched in 2001—and the local banking market is in the process of implementing the changes. Phase one involved developing a stronger domestic banking market through mergers and acquisitions.” Phase two continued the infrastructure development and freed some restrictions on foreign investment. 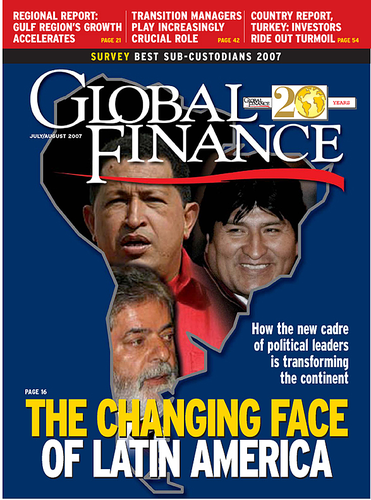 “The final phase—complete liberalization—was expected to begin in 2007 but has been pushed back now,” he says. Nonetheless, there has already been significant internal investment into the banking sector in Malaysia. ANZ Bank, for example has picked up a 13% stake in AmBank, which it is looking to increase to 25%. In addition, the Dubai Investment Group bought a 40% stake of Bank Islam Malaysia Berhad, and the Kuwait Finance House is looking to make a purchase in the country. There has been a great deal of M&A; activity specific to Islamic banking as well, with Middle Eastern firms realizing the potential of Malaysia as a central hub to get into Asia proper. Aside from the Dubai Investment Group and the Kuwait Finance House, Rahji Bank has established itself in Malaysia and is looking to grow organically, and Qatar Islamic Bank established the Asian Finance Bank there in early 2007. The country is also helped by the fact that it is considered one of the most politically stable countries in the region. “It has been ruled by the [Barisan Nasional] coalition for a long time,” one analyst explains. The next election must be called by the middle of next year, but the coalition is once again expected to face little competition.